We always compare Fantasy Football to a Stock Market, and this approach has never been more accurate or important than in 2019. Odell Beckham is now on the Browns. Antonio Brown is a Raider. Le'Veon Bell is with the Jets. And it's only March! These three fantasy megastars are only the beginning. Finally (we think), we can hit the pause button, take a deep breath, and reflect on the 2019 Fantasy Football Big Board and Rankings confidently... at least until the 2019 NFL Draft. That's because nearly all of 2019's Free Agents of fantasy consequence have found their new homes, while the Coaching Carousel has finally stopped spinning. We've seemingly answered all Five of our Most Important NFL Storylines for Fantasy Owners to Monitor. Time to dig in, Wolves. Please, send me any and all feedback. Who am I insanely high on? What player if painfully low? Who’s value is bound to swing the most? Hit up the comments, or find me on Twitter and Snapchat and sound off now! Rosters: 1 QB, 2 RB, 3 WR, 1 TE, and 1 Flex starting lineup. Bookmark our Fantasy Football Stock Watch, where you can find all the news and moves that truly impact the fantasy value needle, with no stone left unturned. 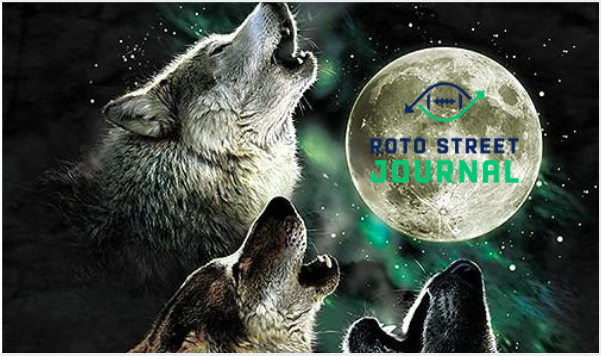 We ground each breakdown in our Fantasy Stock Formula, analyzing which factor(s) have seen a change (Talent, Opportunity, Surrounding Talent, Coaching Scheme, Risk, and Upside) to identify Risers, Fallers, and Penny Stocks. Just like the real game, fantasy football is truly a game of inches. From that crucial waiver wire pick-up, to the right draft-day selection in Round 9, fantasy titles are won with those hard-nosed, unsung, fullback-esque moves. That’s where the astutely researched, undeniably bold, and unfathomably genius opinions of our very-own Wolf and Truth come in. Gritty. Dirty. Always pushing the pile. Gain that crucial yard with the Fantasy Fullback Dive. To find all our Episode Show Notes and more information, visit the FFBDPod Homepage here.